The Prince: America in Three Acts.One of the year's most eagerly anticipated theatrical openings. Then, suddenly, it was canceled without warning. Backers pulled out, actors had "accidents," and playwright Andre LeRoux was told he had one night to leave the city. But now LeRoux is ready to unveil the secrets hidden in his script on a new stage. From across the country, the vampires gather to judge his work - or for other, more sinister purposes. Is he an artistic genius whose work was misunderstood, or merely a pawn in an Elder's revenge? The Elder's Revenge is a chronicle for The Masquerade, White Wolf's game of Live Action Vampire Role-playing. It contains character sheets, prop letters, and everything else needed to run the chronicle centered on the mysterious play The Prince: America in Three Acts. 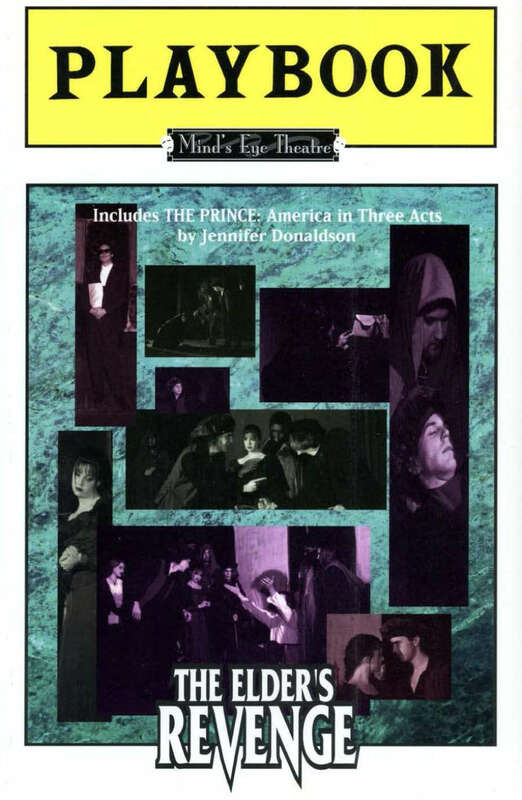 Also included are the complete script and production notes for performing The Prince. The Elder's Revenge allows you to step outside the game and onto the stage while never leaving the World of Darkness.